Today a new reader review has been published on OCinside.de. 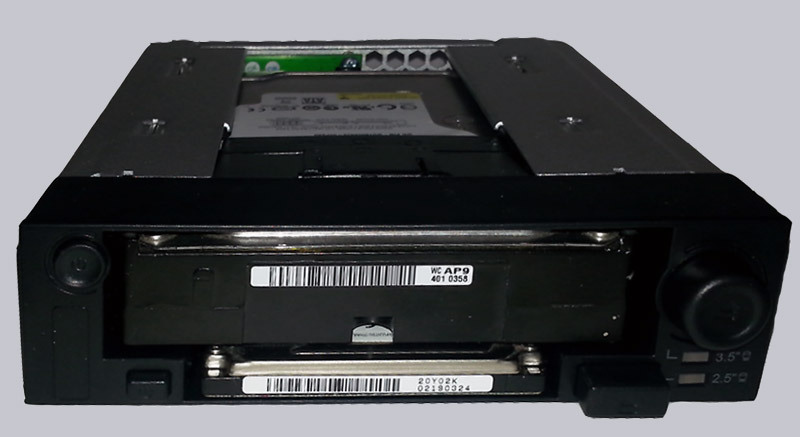 This time MisterY takes a closer look at the Icy Dock MB971SP-B DuoSwap Hot Swap frame for 2.5 and 3.5-inch SATA drives and SSDs. Multiboot systems cause some times problems, especially when installing Linux and Windows. Two separate hard drives are already useful, but unplugging and plugging is not an option. 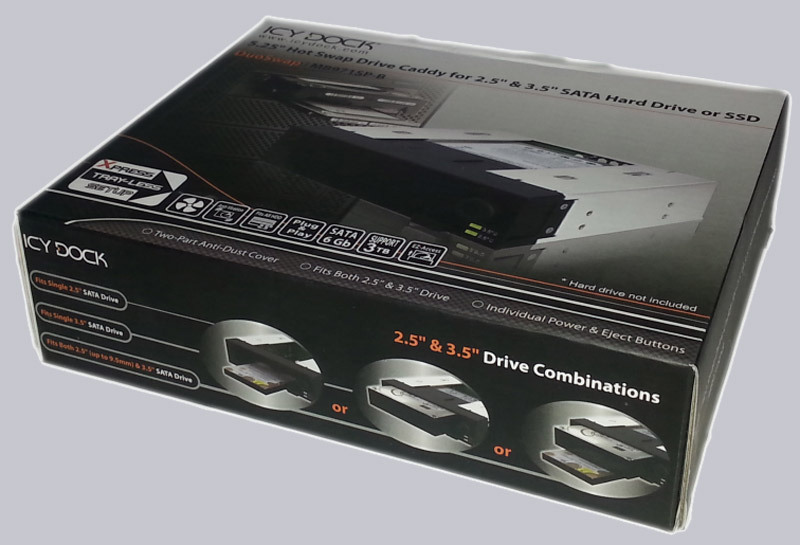 What is the most viable option for users who attach importance to multiple hard disks? Dozens external hard drives? Cremax aka Icy Dock fills that niche with their DuoSwap MP971SP-B. Using the MB971SP-B DuoSwap, you will be able to use a 2.5-inch as well as a 3.5-inch drive at the same time in a single 5.25-inch bay. 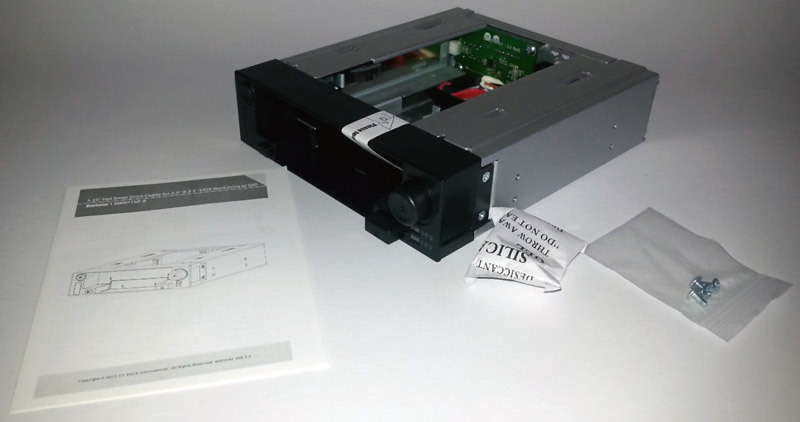 The DuoSwap is delivered in a small coloured box, on which the specifications are printed. The DuoSwap can be purchased for about 39 Euro at date of review. Furthermore four screws for mounting and a manual can be found in the package. 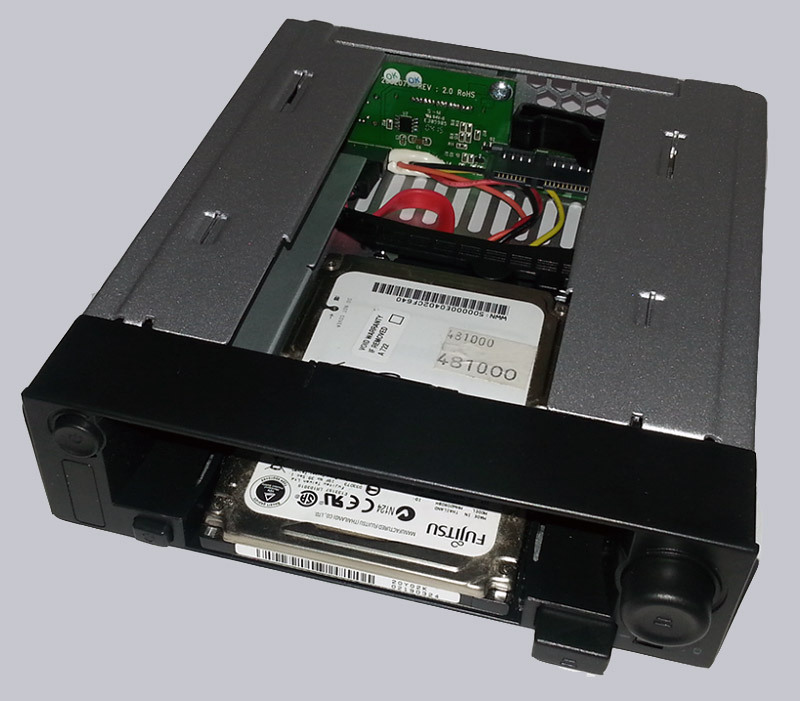 ... you only need to insert the DuoSwap into a free 5.25" drive bay and connect it to a single SATA power cord and two SATA data cables. The DuoSwap consist of a metal frame and some plastic parts. The front of the DuoSwap is black and has no processing defects. The special feature of the Icy Dock DuoSwap is that a 3.5" drive as well as a 2.5" drive can be operate individually or even both of them can be used at the same time. That's why it is called "Duo". 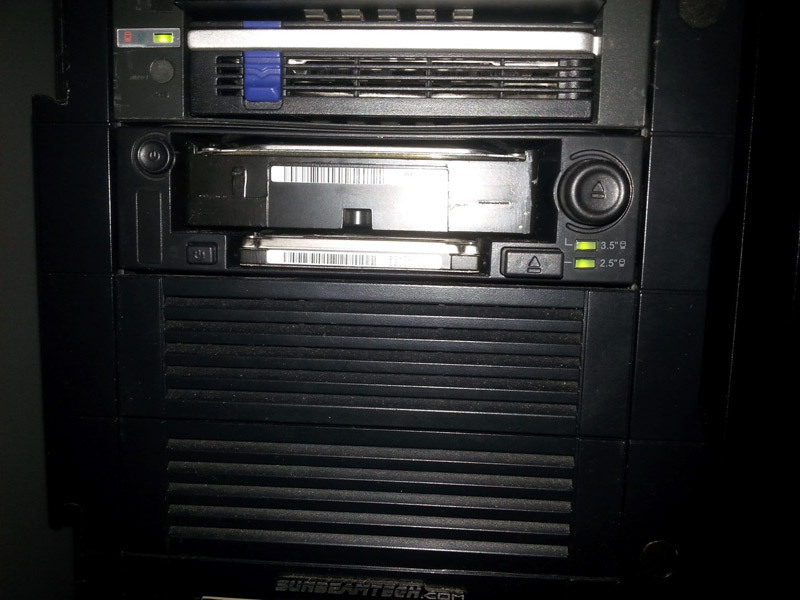 "Swap" stands for "Hotswap", because the internal docking station has separate power buttons for each drive bay so the drives can be changed while the OS is running (after ejecting of the drive in the OS). Since both the 2.5" and the 3.5" drives are flush with the front, eject buttons are mounted on the right side. This work although smoothly, but the lever mechanism inside looks not very durable, especially because you already have to operate some effort for the ejection of a 3.5" drive. Here an enhanced ejection mechanism would be desirable, but this should also be reflected on the price. The lever mechanism for the 2.5" drive, however, is of sufficient size, but it has to be note that this will work properly only with 9.5 mm height drives. 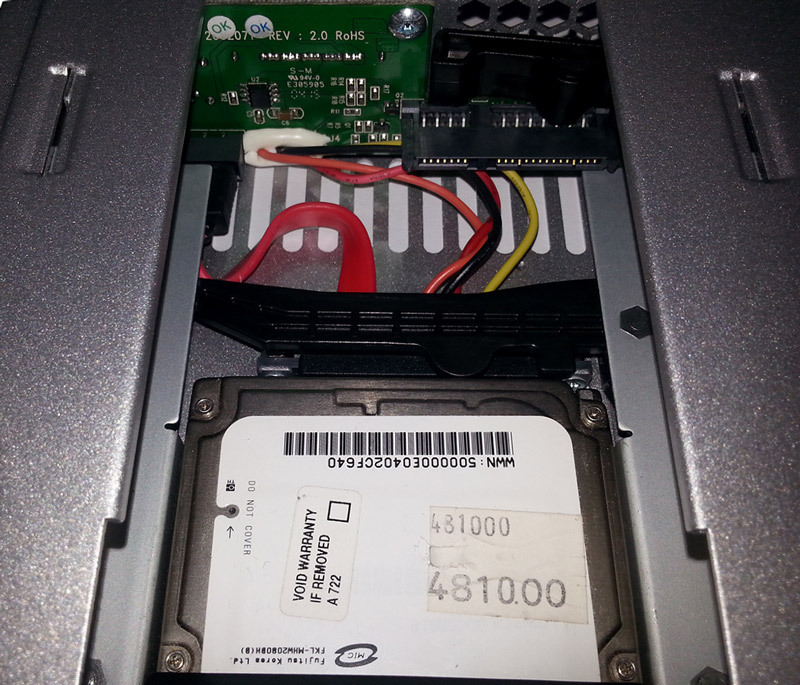 For smaller drives like most SSDs, it may be that the eject lever just "wipes" over it and therefore it is useless. 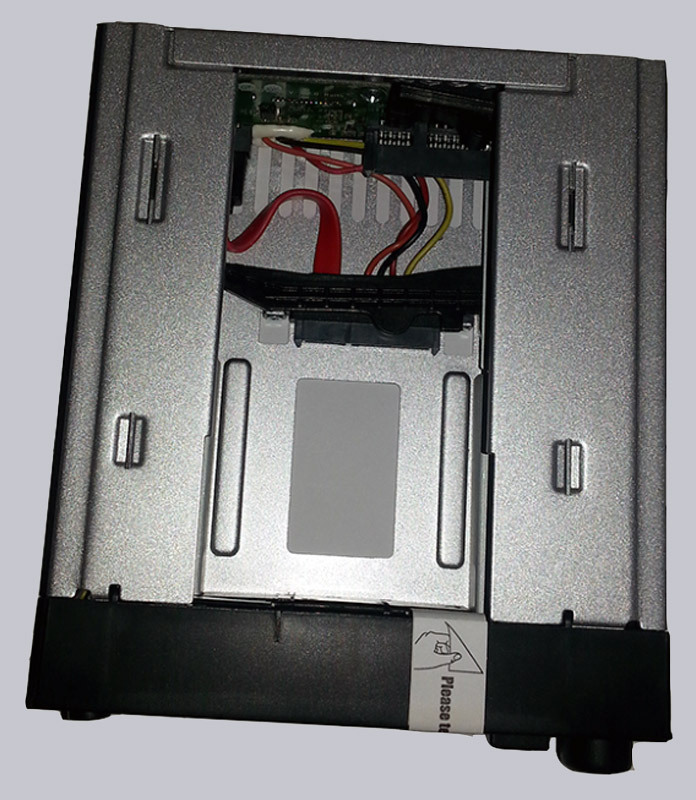 Only an eject of the 3.5" drive and a manual pull out of the SSD can remove them from the DuoSwap. To avoid confusion, the button for the 2.5" drive is rectangular and the button for the 3.5" drive is round. 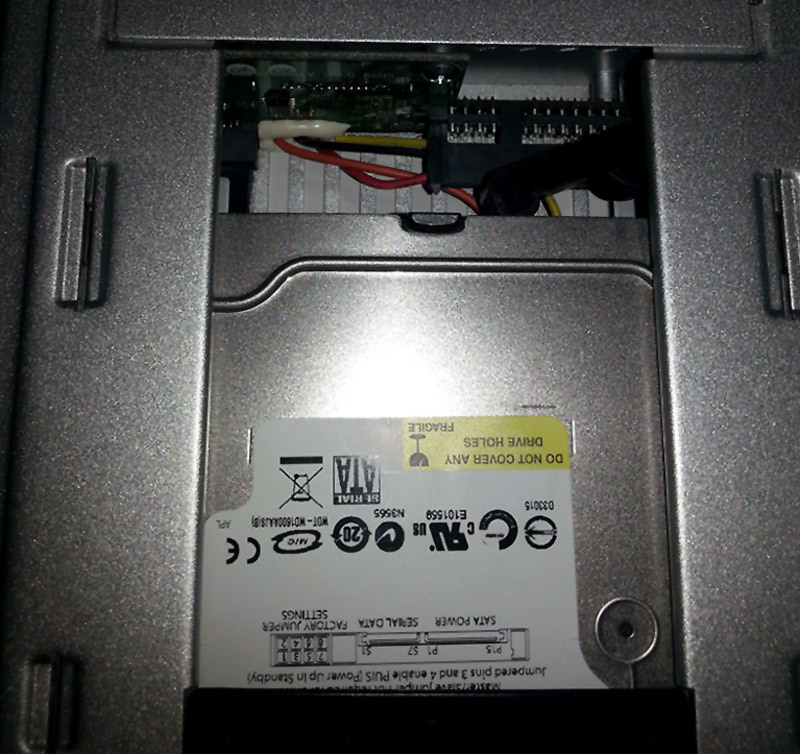 Right under the buttons the operating and access LEDs of the two drives are attached. This arrangement is unfortunate, since the eject button of the 3.5" drive covers the LEDs when the PC is on the ground. It would have been better and more meaningful, when the LEDs would be placed higher. The power buttons work as intended, but these are far too easy to press. This can be triggered by mistake. The cooling of the DuoSwap should be given by the thermal conduction through the metal frame, also large openings are placed both above and below. For sufficient thermal conduction through the metal the DuoSwap has been built the wrong way round. So the 2.5" drive, which is normally cooler than a 3.5" drive, has full contact with the metal surface, but the 3.5" drive has none at all. This is reflected also in the temperatures. A 2.5" 80 GB HDD from Fujitsu Siemens is under permanent load just 38°C warm, during multiple 3.5" HDDs achieve beyond the 48°C temperatures. The highest one was a 160 GB WD HDD with 51°C. The access is, however, lower, say you use the 3.5" drive as operating system hard disk drive, then the temperature is in a moderate range from 36 to 42°C. The Icy Dock MB971SP-B DuoSwap fills a niche, because you do not find really comparable devices. It works as it should, there is no loss of speed. 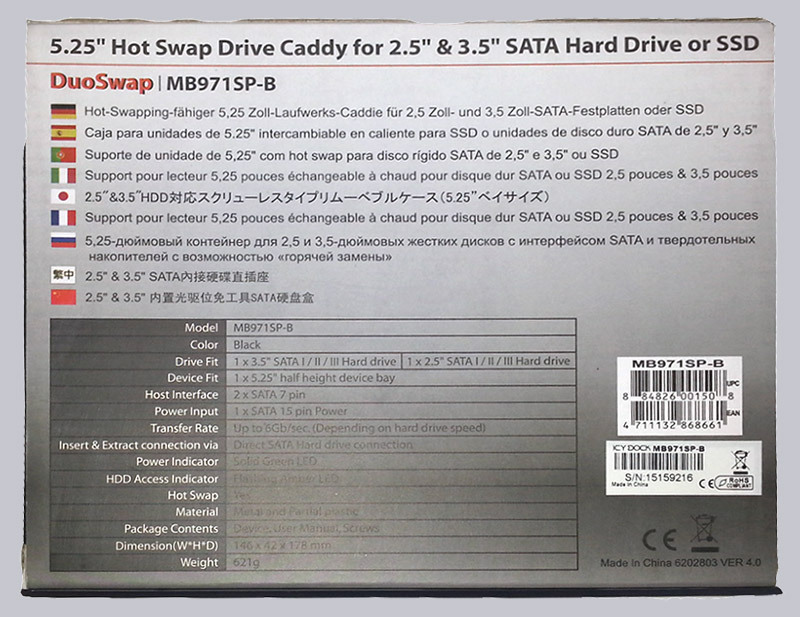 You can even swap a HDD very easily, without having to open the PC before. For large amounts of data, it is not so good due to lack of cooling. The longevity of the eject mechanism is questionable. For multi-boot systems, however, this internal docking station is a real blessing. Here you can purchase the Icy Dock MB971SP-B DuoSwap inexpensively.